Bolted in a perfect circle to the pedestal ring of the cryostat base, 18 gravity supports will brace the curved outer edge of each toroidal field coil. These unobtrusive elements are in fact a marvel of engineering, designed to support 10,000 tonnes of dead weight and yet have the flexibility to withstand the displacement of the coils during cooldown and operation. 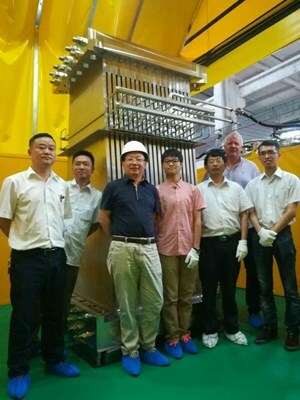 In China, the first production unit stands 2.65 metres tall on the shop floor at the company HTXL, a sub-supplier of the Center for Fusion Science of the Southwestern Institute of Physics (SWIP). 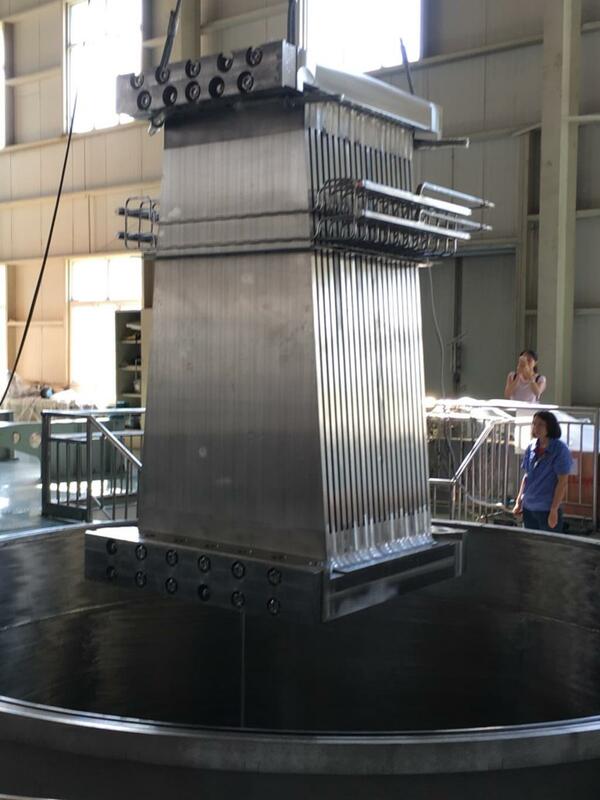 Built from 20 tonnes of ITER-grade 316LN stainless steel, the assembly resembles a Roman column, with 21 vertical plates inserted into pedestals at top and bottom and helium cooling pipes in a curled arrangement welded to each plate near the top. 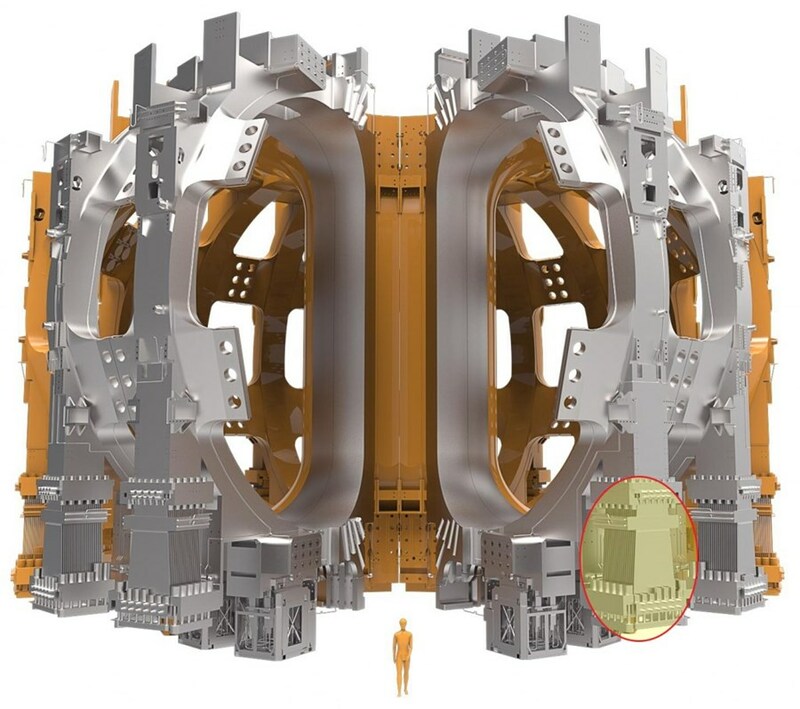 ITER's 18 interlinked toroidal field coils provide the superstructure that anchors the entire superconducting magnet system, including six poloidal field coils, the central solenoid and an array of correction coils. From their position at the bottom of the machine, then, the toroidal field coil gravity supports will be confronted with about 10,000 tonnes of magnet dead weight—or 580 tonnes per support. At the same time the gravity supports must withstand the electromagnetic forces of operation, seismic loads (if they occur), and thermal gradient deformation, which causes the top of the support to shrink toward the centre of the machine (~32 mm) while the bottom remains stable. The first production unit has been realized in China. 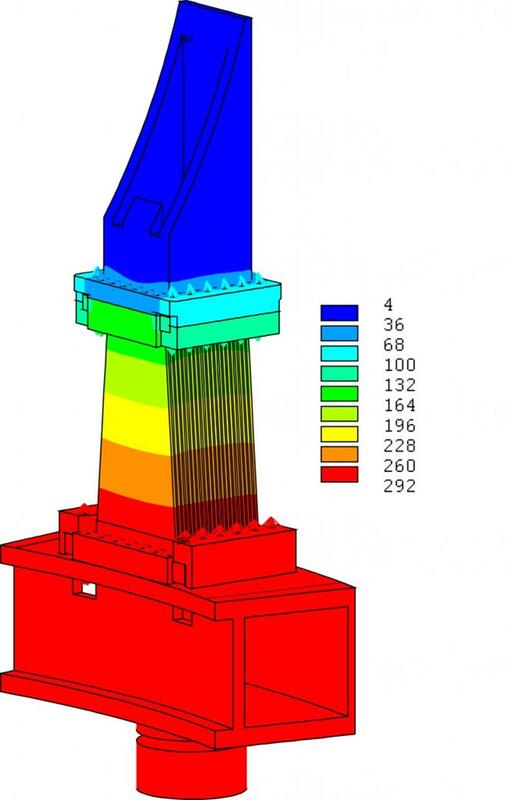 Its design is based on years of prototyping, load analyses and testing ... and the input of engineers from the ITER Organization, the Chinese Domestic Agency, and contractors in China. This push and pull represented a severe design challenge for engineers, requiring many years of prototyping, load analyses and testing. Working from an ITER Organization design, engineers in China worked closed under the coordination of the ITER Magnet Division, the Chinese Domestic Agency and SWIP. In 2013, an engineering test platform was built at SWIP to apply the loads—and load combinations—that are expected during operation at ITER on these qualification mockups. 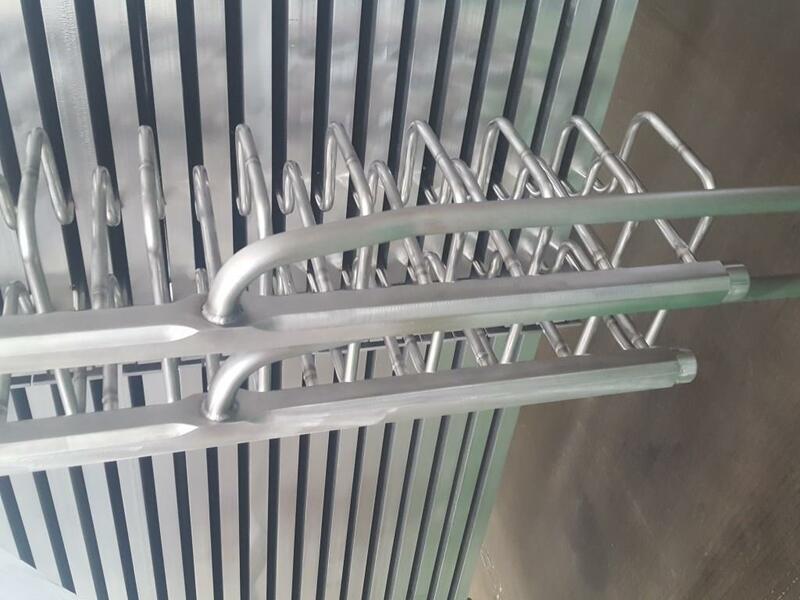 The solution is a mix of flexibility and rigidity—a sandwich of 21 flexible plates, 30 mm thick, divided by spacers that are pre-assembled and clamped together at bottom and top with pre-stressing bars and tie rods; these bars and rods are pre-tensioned with stud tensioners. Active cooling provided at two-thirds of the height of the assembly smooths the transition between the toroidal field magnets at 4 K on top and the room temperature at the base of the structure. "The gravity support will have to be able to resist the toroidal and vertical motion and related forces of the toroidal field coils during the Tokamak operation, but also allow their radial motion during cooldown and warmup," explains Cornelis Beemsterboer, structural engineer for the Magnets Division and technical responsible officer for the different magnet supports. "At the same time each vertical plate is designed to support 27 tonnes of the overall gravity load. Analysis has shown that the design meets all requirements for both room and operating temperature conditions." 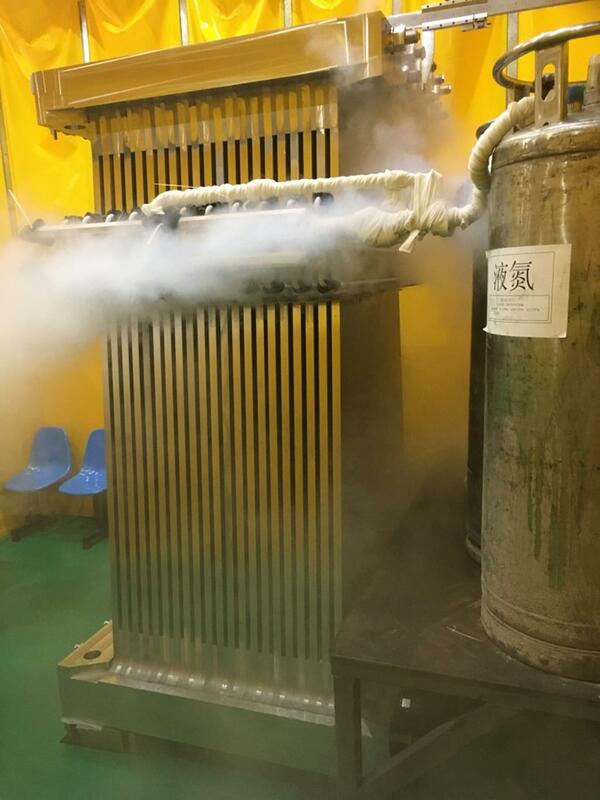 The first production module in China has performed well in factory acceptance tests, including a thermal shock test, helium leak tests on the active cooling pipes, and pressure tests. Still to come is the final assessments on the final applied pre-loading of the bolts. "The gravity supports are impossible to replace and we need to be sure that the bolts will keep the vertical plates together for the full duration of ITER operation," emphasizes Beemsterboer. The full set of gravity supports is expected on site in mid-2019 for installation in the machine on the pedestal ring ahead of the toroidal field magnets. 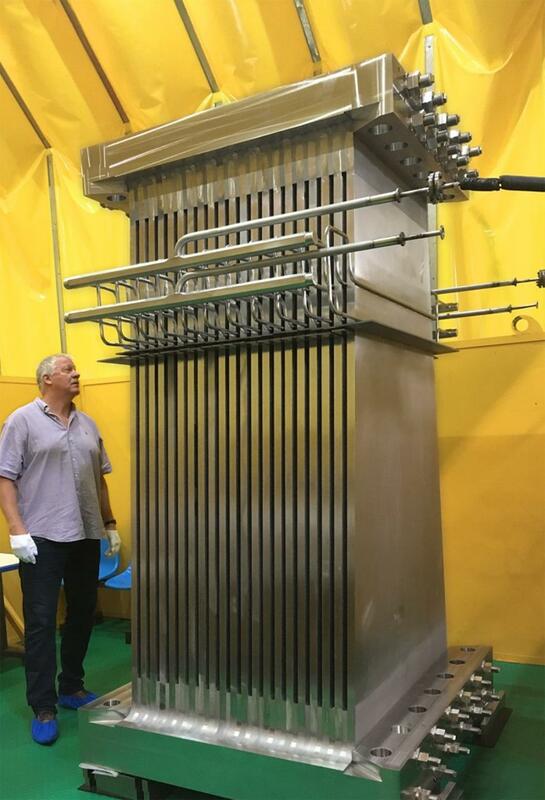 China is also manufacturing other magnet supports for the poloidal field and correction coils—in all, more than 400 tonnes of equipment. 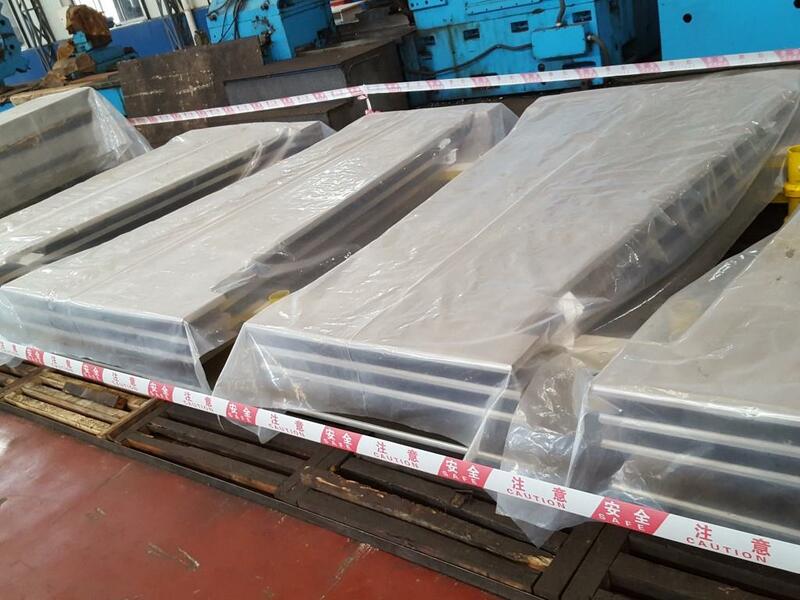 Vertical plates, machined to their final dimensions. Each toroidal field gravity support will have 21 plates made out of ITER-grade 316LN stainless steel—each one supporting 27 tonnes of the overall gravity load. This figure shows the temperature [K] distribution on the gravity support after toroidal field coil cooldown—from room temperature down below to near absolute zero at the top. Thermal gradient deformation causes the top of the support to shrink toward the centre of the machine (~32 mm) while the bottom remains stable. A detail of the active cooling that smooths the transition between the toroidal field magnets at 4 K on top and the room temperature at the base of the structure. Helium leak tests were passed successfully during factory testing in China. The 20-tonne component is lowered into a vacuum chamber for helium leak tests on the cooling system. The cooling system of the first production unit undergoes thermal shock testing at HTXL, a sub-supplier of the Center for Fusion Science of the Southwestern Institute of Physics (SWIP).